We are happy to announce the release of the second "Guide for the Perplexed" under our T&T Clark Imprint: Christian Bioethics by Agneta Sutton. 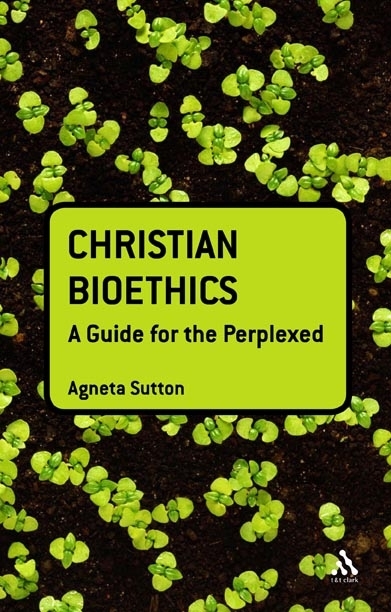 In this Guide for the Perplexed, Agneta Sutton understands Bioethics in a wide sense which includes issues in medical ethics and questions concerning our relationship with animals, plants and, indeed, the whole planet Earth. The key question is that of the value of life. This, then, yields the questions of what respect we owe to human and other forms of life and of how we should care for the world in general. These questions are approached from a Christian perspective and also from more strictly philosophical perspectives. Thus, arguments from a Christian perspective regarding our relationships with fellow humans, other creatures and the planet, are coupled with discussions of different kinds of argument and counter-argument. Do you like saving trees and being good stewards of the earth? Want to have our catalog readily available on your desktop? Well, have some colorful electrons, my friend! If you take a quick look at our right sidebar, you'll see a new link to our 2008 Catalog. This includes our Biblical Studies, Theology, and Religious Studies titles for the entire year. Did you get one in the mail and you lost it? Not a problem. Of course, we'll be releasing our seasonal catalog for autumn in the coming months and we'll post that, too. NB: The catalog is almost four megabytes so download speed will depend upon the strength of your connection. You've been warned! The Review of Biblical Literature has just released David A. Creech's review of Early Patristic Readings of Romans, edited by Kathy L. Gaca and L. L. Welborn and it's a nice one. Says Creech, "The book is a welcome addition to the Romans through History and Culture series and ably demonstrates the impact of Paul’s letter to the Romans upon the theology and culture of certain strains of Christianity in the early patristic period." Please enjoy the rest of the review. This volume is the fifth in the ten-part series of Romans through History and Culture, edited by Daniel Patte and Cristina Grenholm. It was just last fall when we released Medieval Readings of Romans and Reading Romans with Contemporary Philosophers and Theologians. And it won't be too long before Reformation Readings of Romans, edited by Kathy Ehrensperger and R. Ward Holder, will be available. Stay tuned! On occasion, we give our authors the opportunity to write a guest post about their books. Today, we're highlighting an important chapter in the history of biblical scholarship. Travis L. Frampton is Assistant Professor of Biblical Studies at the Logsdon School of Theology at Hardin-Simmons University in Abilene, Texas. Last year, we released Spinoza and the Rise of Historical Criticism of the Bible and he has graciously accepted our invitation to provide a blog post. The Dutch philosopher Benedict de Spinoza (1632-1677) is often considered the father of the historical-critical method. In his Tractatus Theologico-Politicus (1670) the theoretical groundwork of this approach and its practical application to the Hebrew Bible/Old Testament is carried out in full. There Spinoza proposes that the biblical text should be studied in the same way as any other text and that it should be interpreted without prejudice or bias. In the sixteenth and seventeenth centuries there were a handful of people, mainly philosophers and theologians, who were intrepid enough to make public their opinions that challenged many cherished and enduring claims concerning the Christian and Jewish scriptures. Questions regarding divine revelation, authorship, and the role of scripture in public and religious life began to surface during this period, especially in the Low Countries. Although Spinoza was declared a heretic by many of his contemporaries, he successfully set forth many reasons for denying Mosaic authorship. His study of the Bible was not an attempt to deny the existence of God; although many Jews, Catholics, and Protestants thought otherwise. Rather, his biblical hermeneutic was ahead of its time and offered a positive contribution to biblical interpretation. Even though the question of authorship still remained open, he found alternative ways that allowed the biblical text to continue to speak for itself (e.g., about morality). Evoking Scripture publishes in the UK next month and in July in the US. Professor Max Stackhouse, founding De Vries Professor of Reformed Theology and Public Life, and author and editor of the very well-received God and Globalization series, has informed us of quite the interesting conference presented by the Abraham Kuyper Center at Princeton Theological Seminary next week. On Friday night, during the evening reception at the Center for Theological Inquiry, Professor Stackhouse will be signing copies of his book God and Globalization, Vol. 4: Globalization and Grace. If you can make it, don't miss this event! A CONFERENCE ON "CIVIL SOCIETY AND SPHERE SOVEREIGNTY"
The Abraham Kuyper Center for Public Theology was established at Princeton Theological Seminary in 2002. It sponsors publications, lectures and conferences on the relation of theology to the other "spheres" of life. The purpose of this conference is to explore the resources and ideas characteristic of neo-Calvinist political thought with the aim of critically examining their relevance to contemporary debates about religion and politics in a secular society. 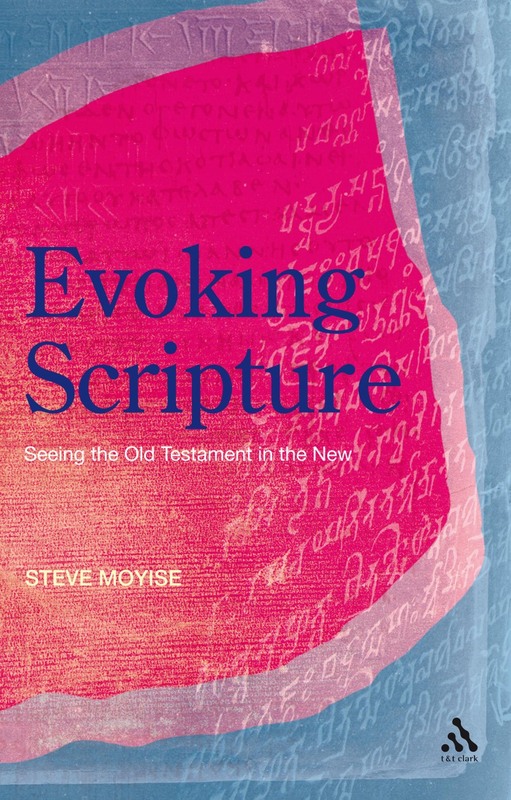 We are shortly about to send Steve Moyise’s forthcoming book, Evoking Scripture, to press ready for publication in the UK in May. In the book Moyise explores the literary and theological frameworks that lie behind the numerous and varied quotations from, and allusions to, the Old Testament in the New. This naturally draws upon Moyise’s previous work in this area, and his co-edited volumes with Maarten Menken in our LNTS series – Deuteronomy in the New Testament, and Isaiah in the New Testament (amongst others - follow links for details UK|US) . In Evoking Scripture Moyise takes a series of case studies from Mark, Romans, Galatians, 1 Peter and Revelation to raise key questions about the hermeneutical stance taken by the texts’ authors as well as the methods and assumptions of those who study them. As such, a key feature of the book is spirited engagement with other scholars such as Christopher Stanley, Richard Hays and Francis Watson. Some have even provided endorsements! Conversations on Religion - Book Launch tomorrow! Conversations on Religion, edited by Mick Gordon and Chris Wilkinson, is a fascinating new book by Continuum. Tomorrow, at the Samuel French Bookshop in London, we shall be holding a book launch to celebrate its publication. Mick Gordon and Chris Wilkinson will be talking about the book along with discussions from a number of contributors; including AC Grayling, Shelina Janmohamed and Muhammad Yusuf Al-Hussaini. Conversations on Religion addresses questions such as: How do we define religion? Can we define faith? Why in our twenty-first century world are so many people religious? and What should our ambition for religion be? Gordon and Wilkinson explore these questions together with 18 well-known religious thinkers and commentators, including: AC Grayling, Giles Fraser, Rowan Williams, Lewis and Matthew Wolpert, Don Cuppit, Muhammad Yusuf Al-Hussaini, Tariq Ramadan, John Gray, Alistair McGrath, Abdelwahab El Affendi, Richard Dawkins, Julia Neuberger, Fraser Watts, Azzam Tamimi, Ann Widdecombe, Karen Armstrong, Shelina Janmohamed, and Jonathan Sacks. The launch will take place on Tuesday April 8th, 6-8 pm, at the Samuel French Bookshop, 52 Fitzroy Street, London. All are welcome. Mick Gordon is a theatre director and dramatist. He is the Artistic Director of acclaimed theatre company On Theatre. Its most challenging piece to date, On Religion, forms the basis for this book. studied Theology at Cambridge University, UK. He is a theatre director and an award winning arts journalist. He has written for The Scotsman, The Financial Times, Prospect Magazine and The Guardian (Online).